Denver, CO, March 07, 2019 --(PR.com)-- Expanding the opportunities for Wildix business partners, Leap Communications is now a certified SIP trunk provider for the Wildix platform. Leap SIP Services now provide Wildix partners a more customer centric, more robust and more secure IP voice network. As a supported SIP trunks operator for Wildix in the US, Leap is readily available to assist certified business partners with quick and easy scalability, allowing partners to grow a customer base while maintaining lower overhead. Leap enables partners to offer the best in customer service by providing them the answers they need, when they need them. Leap believes partner’s customer’s matter. As a SIP provider of choice, partners receive the highest levels of clarity, functionality, and reliability. Coupled with Leap’s proprietary security toolset, partners receive the most secure SIP Trunks in the industry. 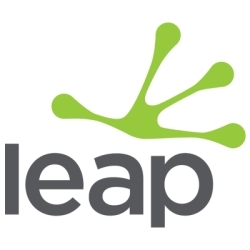 Founded by telecom pioneers in 2004, Leap is the retail subsidiary of Teliax, inc., an innovative software company focused on business IP communications. Leap’s software and network are built with in-house technology that helps drive prices down across the telecommunications industry. Leap is your direct line to the best technology in VoIP communications. The scale of our business, our technology, and our vision mean that our customers will always receive the highest quality at the best price in the industry. A SIP Trunk establishes dependable telecom service from a Public Branch eXchange (PBX) to anyone, whether they are in the same office, in an out-of-state office, or on a cell phone on the far side of the world.